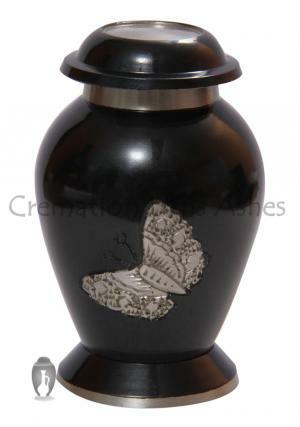 The beautiful glass lacquer finish in black on the urn makes it more delighted and the presence of the printed butterflies in gold and silver which make it an antique finish with beautifully hand printed butterflies. 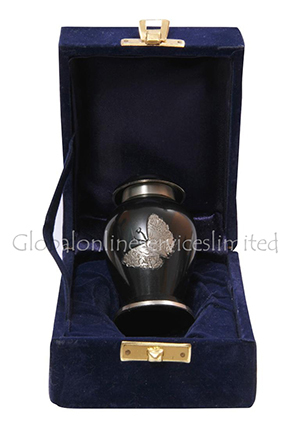 The beautiful keepsake urn is made of solid brass and curved to perfection from art work of skilled professionals. 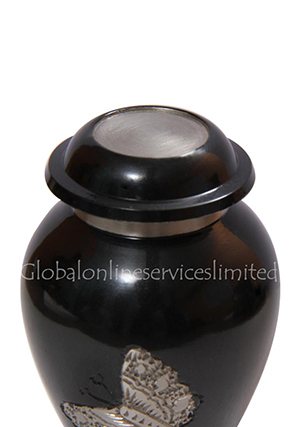 Mini funeral urn for human ashes has glossy silver finish at the neck and the bottom. 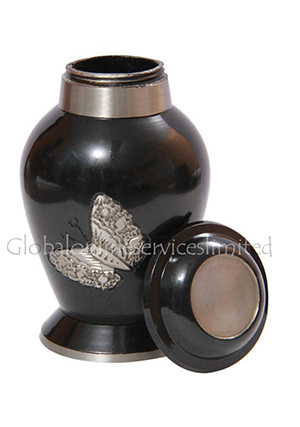 Soaring butterfly small urn comes out with a threaded lid on the top for secure release of ashes into the urn and preserve them. 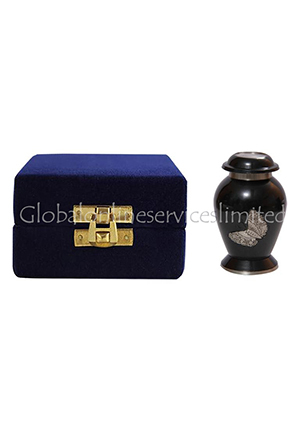 Memorial urn carries minimal amount of cremation ashes which can be carried and hide inside the urn. 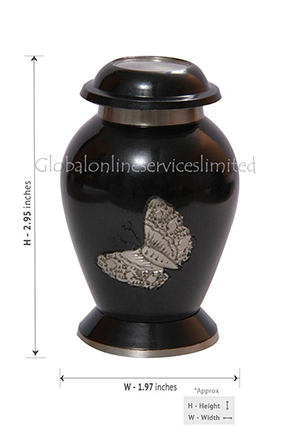 Memorial urn holds upto 3 cubic inches of ashes and dimension of this urn is 2.95” inches height, 1.97” inches width and weighs 0.2 kg.